Have you ever noticed how married couples become more like one another the longer they are together? That is how it should be in our walk with Christ. As we spend time with Him daily, we become more like Him. When we look at the life of Jesus in the Gospel of John we see one of servanthood, obedience and submission. As followers of Jesus, our identity is found in His and that means we are to follow after His example. As Christians, our identity is found in the person of Jesus Christ. In John 8, Jesus tell us that he is the Great “I Am” and this declaration has big ramifications in our lives. As Christians, our identity is found in the person of Jesus Christ. So in order to discover more about ourselves we must first look at who Jesus was and how we can be more like Him. Child of God or Devil? The Bible tells us that there are two different powers at work in our world. We can only live under one of them, and this choice has eternal consequences. Jesus tells us that in order to find freedom, we must first know the truth, which is found in the Word of God. When we dig into God's Word and find the truth, we encounter Jesus, and it is this encounter that sets us free! One of the persistent themes in John's Gospel is Jesus being the Light of the World. As human beings, we so often find ourselves wandering in darkness, but Jesus gives us the light that leads to life. When the Pharisees brought a woman caught in adultery to Jesus and asked him about her judgment, they find that the tables get turned. Instead of this moment being about her sin and punishment, Jesus instead uses it to reveal the hearts of everyone in the crowd. Throughout Scripture, the imagery of a river is used to describe the Holy Spirit. Out of the river of The Spirit flows the waters of life and we are invited to come and drink! Who is Jesus Christ? The Gospel of John paints a beautiful picture of Jesus' divine identity. In John 7 Jesus presents us with a problem...himself. Jesus is the problem. The crowd was divided on exactly who he was. Some said He was a good man, others said He was crazy, some thought He was a fraud, and some said He the Messiah. The crowd is still divided to this day, which begs us to ask, who is Jesus? As Christians, we do not believe and act as the world does...or at least are not supposed to. Jesus taught a much different worldview than what his disciples and even the religious leaders of the time had. So how does Jesus show us to think differently from the world? 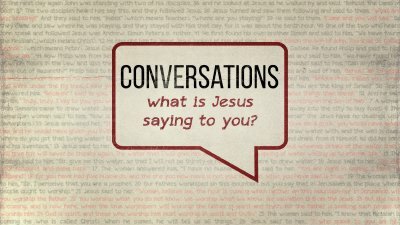 At the end of this discussion on bread, grace, forgiveness, and eternal life, many of the people following Jesus were left perplexed and even offended. As followers of Jesus, what are we to do when we find ourselves in the same situation?  What does it really mean to follow Jesus? Grace is the key to Christianity that makes it different from all other religions. We can't earn or ever deserve the love of God and the salvation that Jesus brings, but it is given to us nonetheless. In His teaching on bread, Jesus says that He is the true bread and the main ingredient is grace! Bread is one of the few foods that is universal to almost all cultures around the world. After multiplying the bread and fish, Jesus tells his followers that He is the true bread and anyone who eats of Him will never hunger again. What was Jesus trying to reveal about Himself in this message about bread?